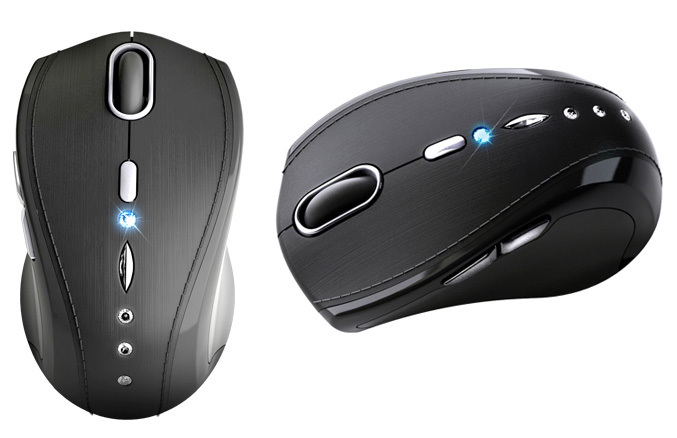 The mouse was first announced back in June 2009 and now Gigabyte outs a new classy black version, in addition to already available brown model. 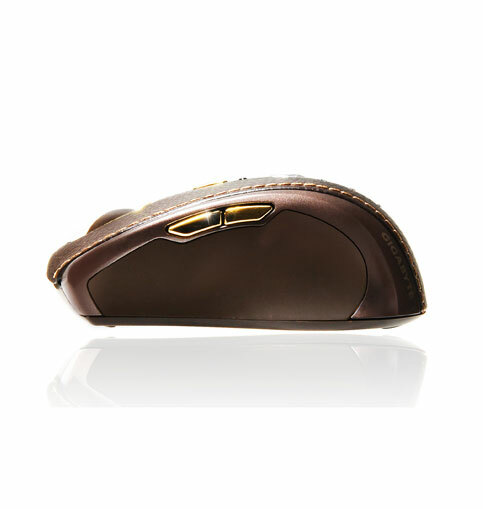 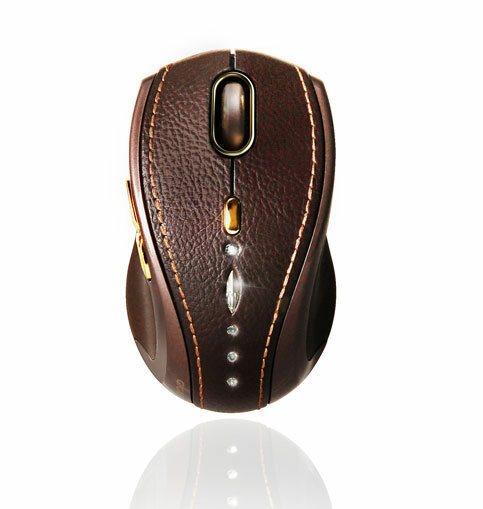 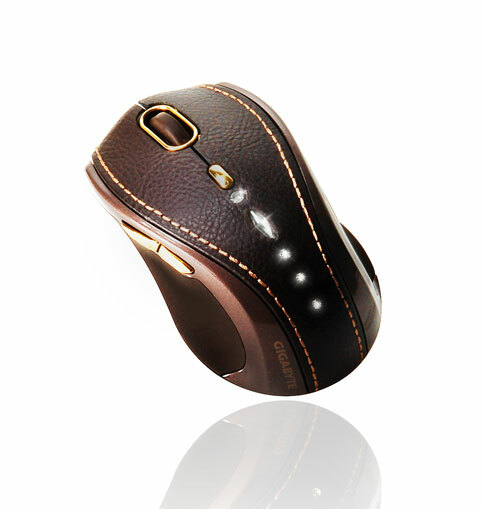 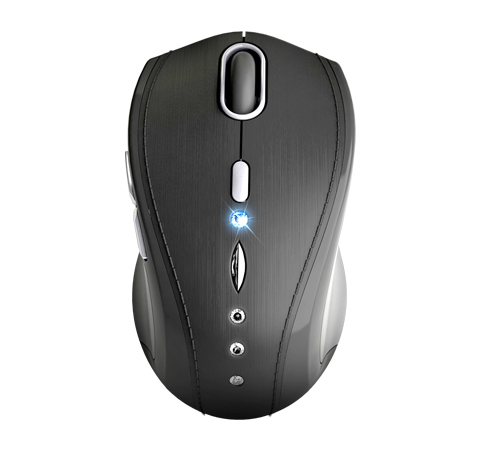 The mouse is crafted with exquisite black leather and has incrusted Swarovski crystal. 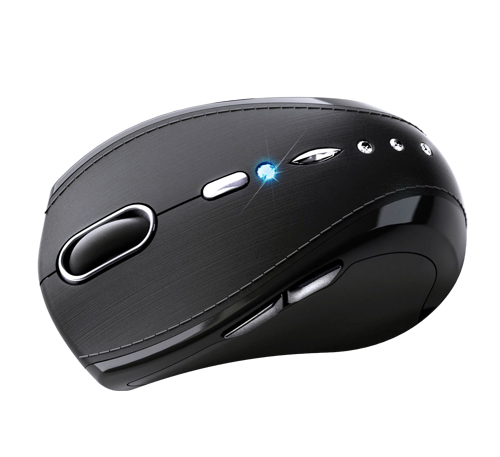 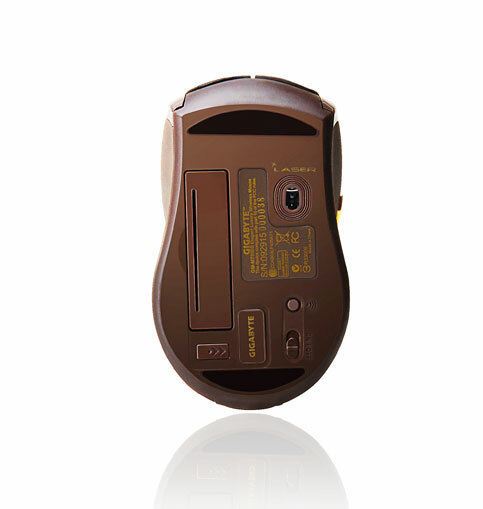 It packs a a laser sensor with switchable 800/ 1600 DPI resolution, utilize 2.4GHz wireless technology, that provides up to 10 meters range, also feature 4-way scrolling wheel, back and forwarder buttons and comes with portable nano receiver.